"Nonfat mango lassi with spices just like in the Indian restaurants." 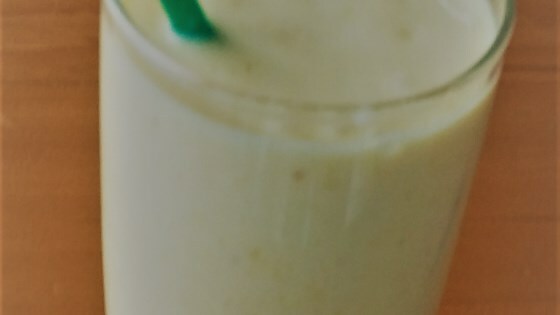 Combine yogurt, mango chunks, mango juice, honey, vanilla extract, ground cardamom, ground cinnamon, and ground ginger in a blender; process until liquefied. You can use orange juice in place of mango juice.